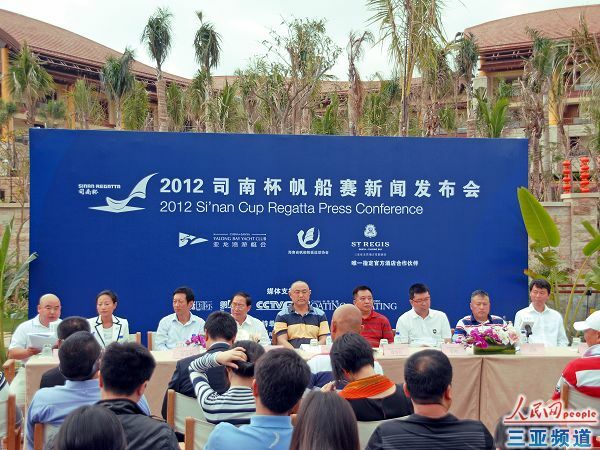 More than 40 domestic sailing teams are expected to compete in their first Si’nan Cup Regatta which is to be held from March 29 to April 2 in Yalong Bay, Sanya. The Si’nan Cup Regatta, held in observation of the invention of compass, one of the China’s four great ancient inventions which have made tremendous contributions to the culture of mankind, is co-hosted by domestic sail enterprises to get a great chance to gain experience and help develop sail sports in China. 30 boats of sizes 40-feet are going to be coming and Asia‘s most luxury boat, 82-feet Swan 82 will be making her first appearance at the regatta to bring in a new climax for the international sailing event in the island. The regatta, including the 130-mile rally racing, which will sail on the world’s oldest voyage route for the first time, is certainly going to make an impressive sight for sailors and its spectators.